Black cottonwood (Populus trichocarpa), is one of the three cottonwood species of North America. The largest of the three, it also holds the distinction of being the largest hardwood tree in western North America. It grows in moist lowlands, mostly along streams and rivers. 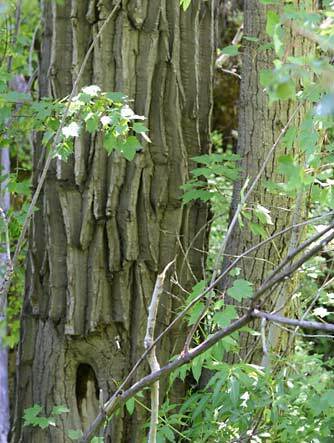 The wood of black cottonwood is fibrous, light and tough. It has a reputation of being temperamental in the dry kiln, with stories among the "old salt" of tipping over whole loads in the kiln, and, in one instance, sending a board clear through the kiln wall. We have found, however, that with a gentler, lower temperature kiln cycle, it behaves itself fairly well.